Metro UK’s GameCentral talked with Bungie’s world design lead, Steve Cotton, and a few interesting things came up during the conversation. GC: I think the original plan was to have Destiny 2 out this year, so now I’m wondering when exactly you started planning for this expansion? Was it drafted in to fill in a gap in your schedules, or was it always part of the plan? SC: That’s a good question. I mean, we’re constantly figuring out what we want to make, basically because of the community feedback and because of where we are. We’ve been working on a lot of things in Rise Of Iron for a while. The Raid is very, very big; very deep – we’ve been working on that for a while. 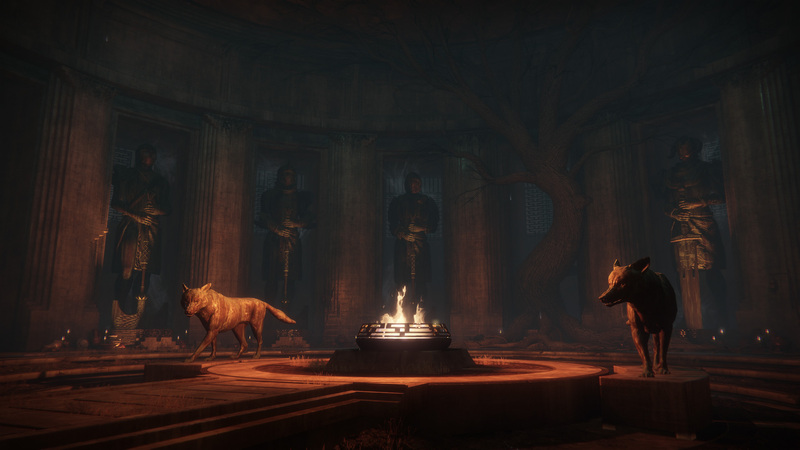 And a lot of the new Crucible experience; private matches and Supremacy, the new game mode. So it’s clear at this point that Rise of Iron was not an originally planned update at this point – we all know that Destiny 2 was pushed back and Bungie decided to create this new expansion to fill the gap. However, they’re also indicating here that many elements of the new Raid have been in the works for a long time. It sounds like they probably started planning it long before Rise of Iron was even conceived of, which means it must have originally been planned for Destiny 2. And that is some pretty exciting news, because it suggests a high likelihood that they have been planning it to take full advantage of the next-gen console capabilities from the outset. GC: Now, talking to developers one of the favorite phrases is that they’re ‘listening to the fans’. But there are still a lot of things in Destiny – matchmaking in Raids, for example – that they’ve been asking for for years and they still haven’t got. So how do you know which suggestions to listen to and which not? SC: We are absolutely listening, and we’re absolutely thinking about stuff, and we are also absolutely prioritizing the things that we want to do. So we’ve prioritized, in a lot of cases, giving players new adventures and new experiences. And then things like private matches, this is the right time to bring that into the game. So, I think it’s just about us trying to make the things that we think are the most impactful for each release. And constantly looking at stuff that people are talking about. GC: So matchmaking for Raids is not off the cards? SC: No, no. We’ve been thinking about that a lot. This is a really interesting exchange, because it suggests that Bungie is still looking at a lot of possibilities for handling certain things differently in the future – Destiny 2 and beyond. Cotton also says several times in this interview that Bungie is not afraid of change or trying new things, even though they believe people are generally happy with the way a lot of things work right now. This also sheds a bit of light on the balanced objectives Bungie is trying to juggle with each update. They only have so many man hours in which to develop both new gameplay and new game features, so they have to prioritize for the greatest impact. We also know that Bungie’s team is split right now, with the majority of development time and resources going to the sequel. Any new features Bungie wants to bring to the game at this point are much more likely to come at that point than before. GC: Why aren’t there more sci-fi style weapons? Is there a lot of stuff you’re just purposefully keeping back for the sequel? SC: So, I can’t speak entirely to all of our weapon philosophies. It’s not my area. But I do know that they are constantly exploring different types of weapons, archetypes of weapons and improvements to the current types. I think that it’s really easy to forget how much we’ve evolved, even Destiny 1, over the last two years. Not every weapon has changed, or anything like that, but lots of core mechanics to the game have completely changed or improved for the better. So we’re definitely not afraid to evolve those things, but we’re also trying to add new adventures. So we’ve been doing that at the same time. In fairness, every weapon actually has changed due to the increasingly frequent balancing that Bungie has been doing since launch. That aside, it is an interesting point that so many of the weapons we see in Destiny take very familiar forms. Now there’s probably something to the idea of keeping weapons familiar to players so that gameplay is accessible and not alien, but here’s hoping we see some cool new concepts taking full advantage of Destiny’s Golden Age backstory to justify their existence. GC: Now, I know you’ve got a collection coming up soon, with all the expansion packs in it. I assume you’ve learnt from last time, with the exclusive dance moves that got everyone so upset about? SC: Yes, oh yes! We’re pretty happy with how we’re doing the Gjallarhorn, and Gjallarhorn pre-orders so that everyone gets the Gjallarhorn dropped at the Postmaster, gets it in their inventory. But you still have to go on a quest – which is actually a really, really fun quest – to actually get the weapon. Because it’s a show of power. And you can still get the Gjallarhorn if you don’t pre-order, it’s just you get the original and the Iron one if you do. This brings up an important point about the Iron Gjallarhorn – something of which everyone pre-ordering should be aware by now. 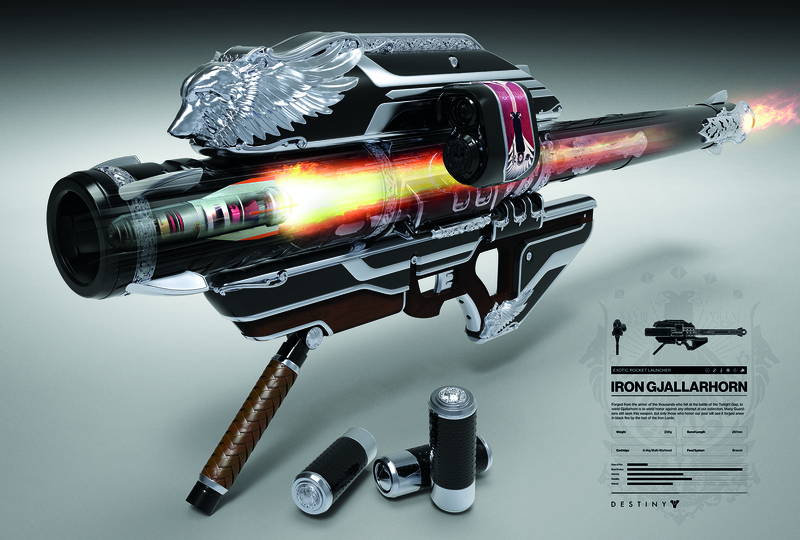 Just in case, let me spell it out: The Iron Gjallarhorn will not be dropping on September 20th. Per both Steve Cotton here, and Bungie’s Help Page on Rise of Iron, we will all need to complete the Gjallarhorn questline to unlock the weapon. We don’t know how to trigger this yet, or how long it will be, but various sources have called it both challenging and fun. 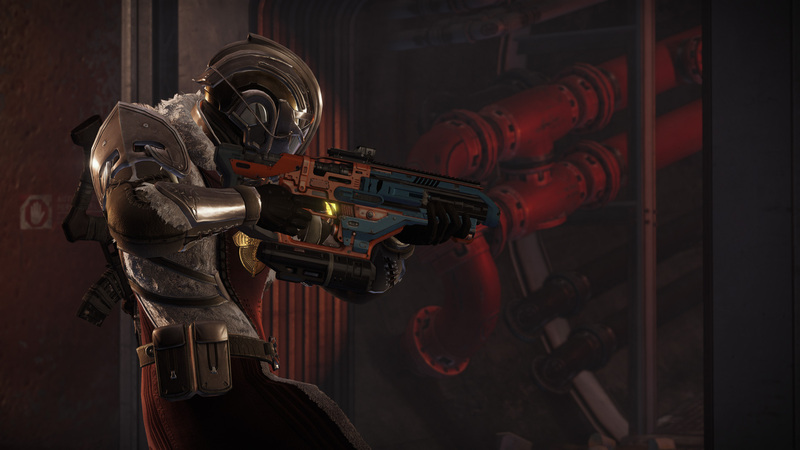 Once complete, those Guardians who pre-ordered will receive both versions of the weapon, while those who did not while get only the classic skin. GC: What have you learnt the most from all the various controversies over the years? SC: It’s changed our approach to the story, it’s change our appreciation for how much players want to customise their characters and customise the stuff that they get. We’ve learnt that players want to earn things, that make them powerful, but then they want to be able to customise those things that they’ve earned. And so we’ve improved the ability to customise, and the new ornament system is a really exciting way of doing that. It’s always good to have more confirmation from higher-ups and design leads at Bungie that they are aware of and learning from the missteps of the past. I think we can all agree with what Cotton is saying here – feeling powerful, having unique and meaningful gear and weapon options, and being able to change up ours looks so that we can show off our achievements are all important to the community and have been from the beginning. 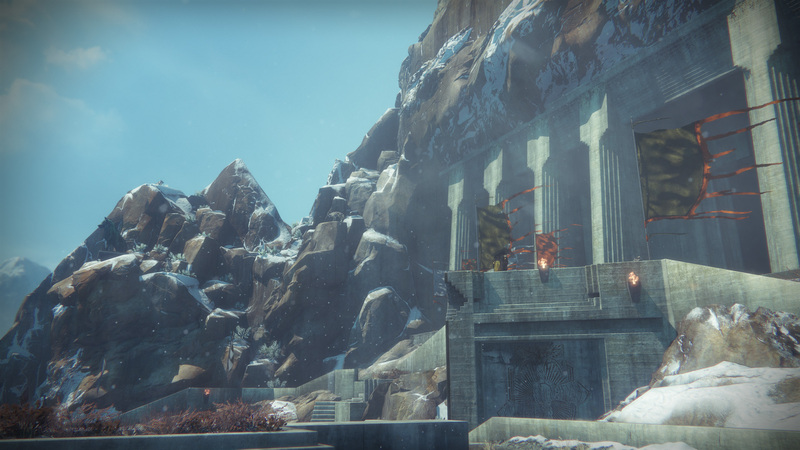 The strides forward that we’ve seen toward enabling us to do that more and more are great, and Rise of Iron seems poised to continue that trend in a big way. GC: I wonder if you’ve played The Division? It’s a good game, but its popularity seems to have fallen off quite quickly. From your experience with Destiny can you guess why that might be? SC: I played The Division, a lot of us played it internally, and they did some really good things. We play a lot of competitors’ games and learn a lot from them. But yeah, I think it sort of shone a light on the stuff that we’re really proud of, that we think Destiny does really well. Which is, first of all, making sure that running around different worlds, and moving around the worlds using your abilities and your expressions of power, is just amazing in Destiny. We’re super proud of that. And I think it becomes obvious when you play something else, whatever it is, that doesn’t have that magic. But also, I think how we continually deliver experiences. We’ve updated this game 40 times, I think. A lot of them invisible to players, but we will continually throw up updates and for us that’s a lot. To make sure they’re getting the best possible experience. While Destiny has undeniably had its share of problems and Bungie’s communication has been lackluster at times, we have also seen many problems and community requests acted on in-game, and there’s no question that the endgame has grown ever more diverse and rewarding with each major update. GC: In terms of the open world design I think a lot of people just wanted it to be bigger, so what were your reasons for focusing on smaller, tighter maps? SC: That’s a really good question. We talk about this a lot. For us it’s not good enough to just make a bunch of real estate. Real estate has to be really well thought out, so you really try to create experiences. Everything is very… intentional. And so when you’re hand-crafting and – no offence against No Man’s Sky – but when it’s not done by someone by hand it’s hard to get experiences that are memorable. Another good question and comparison here – a lot of people expected much larger and more open world design in vanilla Destiny, and it’s something that has been a sore spot for some parts of the community even now, two years later. Cotton makes a convincing argument against going “too big” and while wide open spaces can be amazing to explore, the question of vast procedural worlds versus tighter, hand-crafted locations is not one likely to be closed any time soon. With any luck, future releases will be able to give us more of the best of both worlds. GC: There seems to have been a lot of procedurally-generated games recently and I just think the negatives outweigh the positive in most cases. GC: Yeah, it’s what you do with the world. The problem with procedural generation is you know you’re never going to coming across anything genuinely surprising. SC: Yeah, and I think that’s going to show when you go see the Plaguelands. We put a lot of energy into making that new area on Earth feel different to anything in the Cosmodrome, and with landmarks that were compelling to player. You get in there and you’re like, ‘I want to go to that tanker! I want to go to that battle station! That bunker on that hill! And I want to go to that fortress that’s billowing smoke!’ It’s all unique. We’re really excited about that… especially me because I work with the team, and the designers and mission designers, to make a world, and it was really fun to work on. And we do have a lot of real estate in this release, but it’s really well thought out. 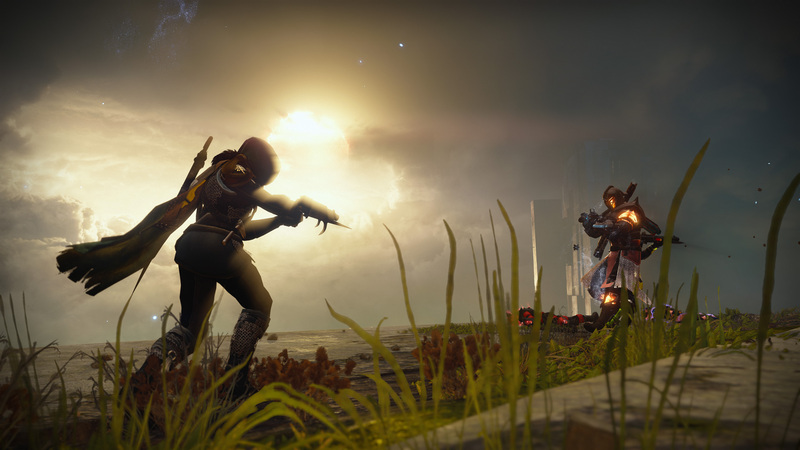 More reflections here on the potential of procedural generation and wide open worlds, as well as what Bungie feels they have done well in Rise of Iron and Destiny generally. In all honesty, I do want to go to that tanker. The battle station and bunker, too. And that fortress with the billowing smoke? Yeah, I’m going there. Those are the key points we caught from Metro’s interview. Rise of Iron is just under 1 month away! Stay tuned for more pre-release news and highlights!